Summary: University of Tübingen researchers have measured the readiness potential and brain activity in people prior to embarking on a 192 meter bungee jump. The readiness potential is a characteristic electrical voltage shift in the brain that indicates an upcoming willful act, and that appears even before a person becomes aware of his/her own conscious decision to act. After only a few jumps, the researchers were able to measure the readiness potential beyond any doubt. NeuroscienceNews.com image is in the public domain. Original Research: Abstract available in bioRxiv. University of Tübingen “Taking the Leap: What Happens in the Brain Before a Bungee Jump?.” NeuroscienceNews. NeuroscienceNews, 29 January 2018. 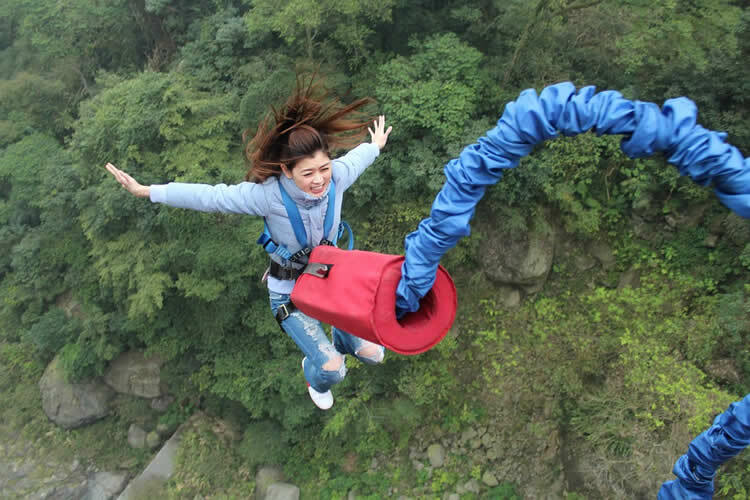 University of Tübingen “Taking the Leap: What Happens in the Brain Before a Bungee Jump?.” http://neurosciencenews.com/bungee-jump-brain-8390/ (accessed January 29, 2018). Self-initiated voluntary acts, such as pressing a button, are preceded by a negative electrical brain potential, the Bereitschaftspotential (BP), that can be recorded over the human scalp using electroencephalography (EEG). Up to now, the BP required to initiate voluntary acts has only been recorded under well-controlled laboratory conditions. It is thus not known if this form of brain activity also underlies motor initiation in possible life-threatening decision making, such as jumping into a 192-meter abyss, an act requiring extraordinary willpower. Here, we report BP before self-initiated 192-meter extreme bungee jumping across two semi-professional cliff divers (both male, mean age 19.3 years). We found that the spatiotemporal dynamics of the BP is comparable to that recorded under laboratory conditions. These results, possible through recent advancements in wireless and portable EEG technology, document for the first time pre-movement brain activity preceding possible life-threatening decision making.